On September 7, the Colorado Parks and Wildlife Commission unanimously approved the Fish and Wildlife Mitigation and Enhancement Plans for the Northern Integrated Supply Project (NISP) in the Cache la Poudre (Poudre) basin. Colorado TU and the local Rocky Mountain Flycasters Chapter supported the final plans, which had been revised to address several key concerns raised by TU earlier in the public comment process. 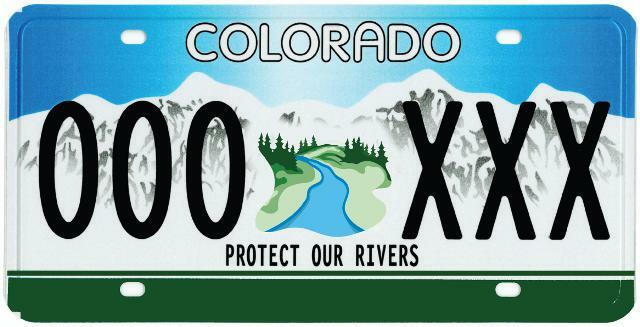 The plans now move to the Colorado Water Conservation Board for final approval. It is important to note that in supporting these plans, neither the Commission nor TU have endorsed the NISP project itself. Rather, the state mitigation review process is designed to identify “reasonable” mitigation measures, as well as possible enhancements, that can help protect fish and wildlife resources should the project be constructed. Federal permitting – still faced by NISP – is where the fundamental need for the project must be demonstrated and alternatives considered that may be less damaging to the environment. The state mitigation plans do not “authorize” a project, but they do help provide a recommended “floor” of protective measures that should be implemented if a water project is authorized by federal permits. The NISP project, proposed by Northern Water, consists of two off-channel reservoirs: Glade Reservoir, northwest of Fort Collins, and Galeton Reservoir northeast of Greeley. It uses in-basin water, including the Grey Mountain project water rights that were once proposed for a mainstem reservoir in the Poudre Canyon. Galeton Reservoir facilitates down-river water exchanges, while Glade is focused on capturing peak and shoulder season flows – meaning that key impacts of concern include the loss of periodic flushing flows and overbank flows that help sustain riparian communities. Base flows. A “conveyance refinement” plan to improve base flow conditions on the Poudre through most of Ft Collins, by delivering storage releases from Glade Reservoir through the river (rather than through pipelines) for about 12 river miles, to the ultimate point of diversion for delivery to the end-use cities. Under this plan, 18 cfs (winter) and 25 cfs (summer) would be delivered through the river and shepherded through diversions that currently divert 100% of the river’s flow – creating dry up points on the river during winter. The plan will use NISP deliveries to sustain base flows year-round and eliminate those dry up points. Fish passage. Retrofit of four cross-channel diversions on the Poudre that currently do not allow fish passage or sediment transport. The fish/sediment passage improvements will reconnect river habitat, as well as facilitating the base flow bypasses for the “conveyance refinement” plan. Habitat improvement. Northern Water has committed to completing 2.4 miles of river channel and habitat improvements along the Poudre. In addition, they will place another $5 million in escrow for use on other river improvement projects that are identified under a to-be-developed collaborative habitat improvement plan for the river. Another $1 million is allocated to support that planning and design process. Peak flows & ramping rates. CPW and Northern developed a decision-tree approach to peak flows under which different levels of peak flows will bypass the NISP diversion into Glade Reservoir depending on reservoir storage levels and snowpack conditions, as well as how recently the river has received a flushing flow. The plan helps ensure that some flush is provided even in multi-year droughts, while including a bypass of the river’s full peak flow - however high it may be - for three days during wetter periods. Increasing releases to the peak flow, and decreasing them on the tail end of it, will be implemented with a gradual “ramping rate” to avoid harmful effects to fish (such as stranding of fish out of the baseflow channel if those areas are dried up by rapidly dropping flows). TU had recommended changes to the original draft plans to incorporate ramping rates and to address flushing flows during multi-year dry periods; the final plan incorporated changes addressing both concerns. Adaptive management. Many elements of the plan (ramping rates, flushing flow program, habitat improvements) will be guided by a multi-stakeholder adaptive management process that will monitor conditions and help make adjustments where needed to ensure the effectiveness of the mitigation and enhancement measures. Similar to the “Learning by Doing” efforts in the Upper Colorado, this adaptive management program will ensure that efforts are informed by monitoring results and adjusted where needed. TU had recommended this program be maintained in perpetuity; the final plan calls for the program to continue for 20 years following full NISP operations (likely 25-30 years from original completion of the project) after which coordination would shift to a broader watershed coalition process that would incorporate partners and projects beyond just NISP. The low-flow measures are of particular importance for the Poudre’s trout fisheries from the canyon mouth through Fort Collins. “The conveyance flow program is significant to the fishery and aquatic life because it keeps water in the river on a year round basis,” said CPW biologist Ken Kehmeier. Base flows of at least 20 cfs were recommended at Lincoln Street in Ft Collins under a River Health Assessment Framework developed for the Poudre. Under current baseline conditions (without NISP), that flow is met 52% of the time. With the proposed mitigation plan, that baseflow target will be met 97% of the time. “The conveyance flow will significantly benefit the aquatic life in the river during the low flow times of the year,” Kehmeier said.